Jan M. Drees was a 1948 graduate of the University of Delft, Holland where he received a master of science degree in aeronautical engineering. Following graduation, he worked as a helicopter flight test engineer at the National Aeronautical Laboratory, Amsterdam and later served from 1950 to 1952 as an officer in the Royal Dutch Navy on the certification team for Fokker Aircraft. Upon leaving the Navy, he formed a team to design and build the Kolibri ramjet helicopter which became the first commercially certified helicopter of its kind. 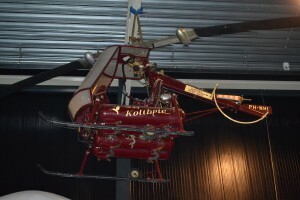 It was built by the Netherlands Helicopter Industry, at which Drees held the position of chief designer and technical manager. 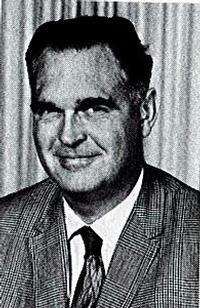 In 1959, he joined Bell Helicopter as a dynamics group engineer. He rapidly progressed to chief of dynamics, chief of flight technology, director of technology and vice president for technology. During his career he authored more than 30 papers on helicopter design as well as the history of the windmill. Drees was active in AHS serving as the chairman of the dynamics committee, board director and south-west region vice president, forum technical director and technical council member. In 1972, he was awarded the Grover E. Bell Award; in 1978 he was named the Fellow of AHS; and in 1987 he was elected to give the prestegious AHS Alexander A. Nikolsky Honorary Lectureship, his lecture was "Prepare for the 21st Century." From 1993 to 1995, he recognised and coordinated the Society's Human Powered Helicopter Competition. Jan Drees, who retired from Bell Helicopter in 1987 as Vice President for technology, died in March 1999 at his home in Fort Worth. He was 76.